Not a bad way to start off your 100th appearance for your club as DYBALA put on a five star performance! 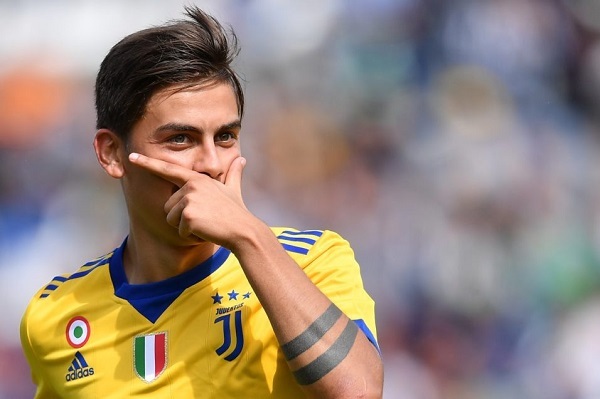 Not to be outdone by his Argentina National Team mate Sergio AGUERO, Paulo DYBALA powered Juventus passed Sassuola with a hat trick, scoring a sensational goal in the process. He opened the scoring in the 16th minute with a brilliant long-range effort with his ferocious left foot which also turned out to be his 50th goal for the club. The scoreline was 1-0 at halftime in favor of Juventus. It didn’t take long for them to double their lead in the second half. DYBALA slotted the ball into the bottom corner from inside the penalty area in the 49th minute. The home side immediately hit back after a mistake from Gianlugi BUFFON which allowed Matteo POLITANO to pull one back for Sassuolo. Then in the 63rd minute, DYBALA was brought down about 22 yards away from goal. He took the resulting free kick in which he curled the ball past Andrea CONSIGLI to complete his hat-trick. Franchu start in the bench of Real Madrid against RealSociedad…..
Love to some argentine in RM. .. Except free kick he never had that much space he had in those two goals for last two games he played for NT. Either those spaces were crowded by Uru/Venu players or he got confused with Messi. Should he leave the place for Messi or Should he occupies it. While he was thinking all of these thought than he realised 90 minutes is up. F. Feuillassier will be on Madrid’s bench tonight. He is an Argentine from Madrid’s youth academy. Seems he is DMF. Anybody have seen him before guys? @Gonzalo, is he looking good enough to be promoted to Madrid’s A team? I don’t think he is more talented than our best youngsters but he is in good place. To have around all the players and opportunities to learn quickly. One day will play. Maybe for Real or other strong club. Sometimes we need to question ourselves..we have a team and not much complains on selection..a coach we all wanted..but the results not what we wanted..only thing we are not losing..but a draw..so where is the problem?????? The European clubs don’t care about Argentina position in the CONMEBOL standings. 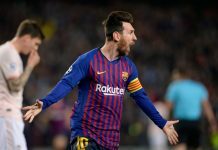 Let’s take Messi for example, he will have played five games in the span of 15 days; the one against Juventus, follow by the weekend game against Getafe, follow by the upcoming midweek game against Eibar which lead into next weekend game against Girona and to round it all up a UCL game away to Sporting. This is the same case for all Argentina Sevilla players. Most likely the same for the players in Italy too. Pizarro and Augusto current squad players with both Rojo and Lamela out long term for Argentina. Messi can play as false 9 – this is by the way , the best position for messi -and in this situation , Icardi will disappear on the field. it is happening right now for Suarez and happened before with ibrahimovic and david villa when they played for Barcelona. Messi also can play as Right winger/forward and he is great in that position but in this situation , he needs a world class right full back to cover the space he will leave when he runs to the left with ball. unfortunately , argentina lacks proper right full back. Messi also can play behind the strikers but in this situation , he erases the presence of dybala and will eventually will return back to get the ball from the backline beside the more distance between messi and the goalie , the less effective he is. the best place for Dybala is behind the strikers. there , he can provide scoring chances and can score from outside the box. beside he is great at distributing the ball over the field. the problem with dybala is that he is not physical player. he can be covered too easy. he disappears in matches that require physical players. he needs someone beside him. i think if Sampaoli want all his attacking force to play together, the best formation will be 4231. I would use the 442 formation. Kun and Dybala up front with Messi slightly behind and in the middle. Acosta or Acuna on the left, Banega in the middle with Di Maria on the right wing. Mercado back right with Otamendi and Garay in the middle with the left back open for debate. Messi would be involved in the attack but with the support of either Banega or Gago right behind him. So Banega as a DM, behind Acuna, Messi, Di Maria? Thats suicidal. We can’t even score but now we’re wanna give the opponents space to score on us? It’s super simple. If Sampaoli wanna use both Messi and Dybala, just play with a back four and play Messi as a right wing or Right forward. That also would require that we drop Di Maria, and find a very good Left back. Or if He wants to play with a right wing, just drop dybala and put Messi as a 2nd striker. playing with 3421 formation will not work. There is no doubt about it, The Kid got SkiLLZZ and I see wearing the #10 too. I hope, wish, pray, beg, plead ……that he does NOT turn out to be like the rest of the bunch when it comes to ARGENTINA.